Steely pink color. 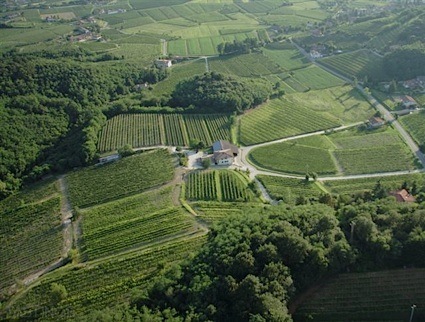 Fruity aromas of raspberries in whipped cream, mandarin orange, lemon zest, and vanilla bean with a satiny, crisp, petillant, fruity light-to-medium body and a tingling, brisk orange sherbet finish with soft tannins and no oak flavor. A spritzy, refreshing rose for patio pounding. Bottom Line: A spritzy, refreshing rose for patio pounding. 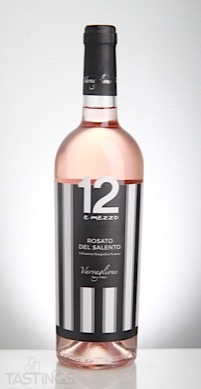 12 e Mezzo 2017 Rosato del Salento IGP rating was calculated by tastings.com to be 86 points out of 100 on 3/13/2018. Please note that MSRP may have changed since the date of our review.